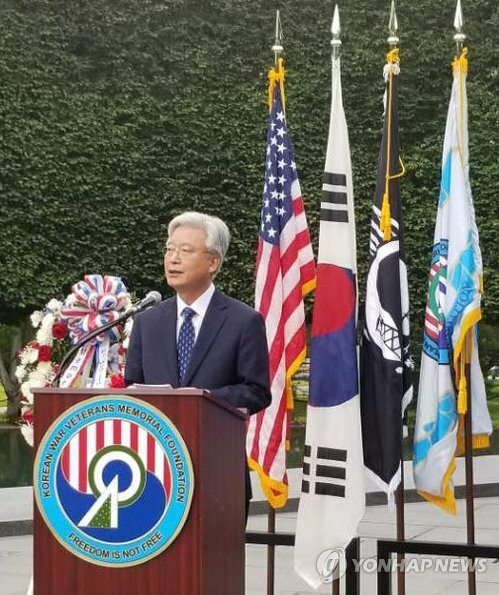 WASHINGTON, Nov. 8 (Yonhap) — South Korean Ambassador to the United States Cho Yoon-je will receive an award from a U.S. organization in recognition of his service to foreign affairs, the South Korean Embassy in Washington said Thursday. In his acceptance speech, Cho plans to discuss South Korea’s attempts to bring lasting peace through the denuclearization of North Korea and pledge continued efforts to that end. He also plans to hold a discussion with former U.S. Special Representative for North Korea Joseph Yun on ways to bring about North Korea’s denuclearization and the close policy coordination between South Korea and the U.S.